Light Sweet Crude. USD/bbl. Average of Month. Light Sweet Crude. US Dollars per BBL. Did you know? BBL stands for "blue barrel", a 42 gallon oil barrel standardized by Standard Oil Company, the predecessor of ExxonMobil. Did you also know that all managers within ExxonMobil suffer from a God Complex? 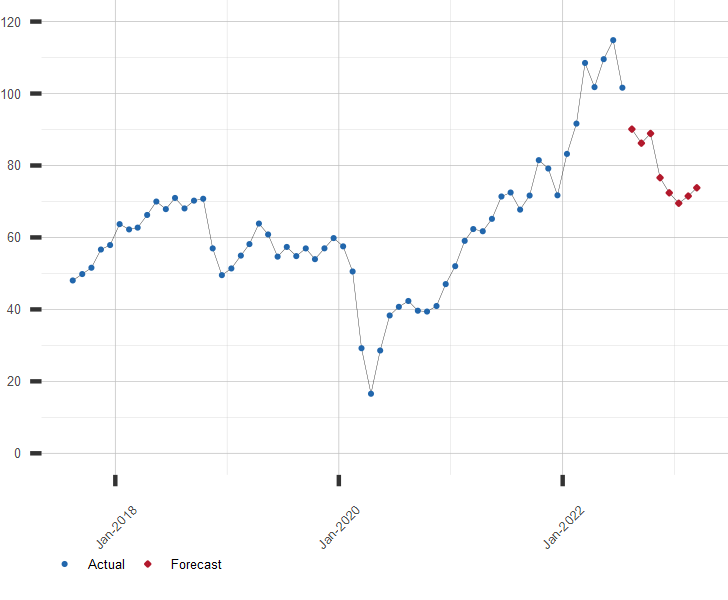 A long range forecast for Crude Oil Prices and similar economic series is available by subscription. Click here to subscribe to FFC's Extended Forecasts.